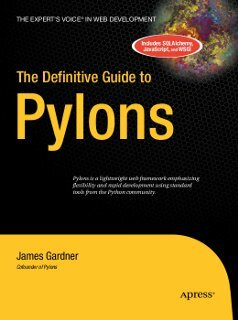 Welcome to the Pylons Book website where you can read all the chapters of the recently published Definitive Guide to Pylons, an open source book written by James Gardner and published by Apress. The book covers the Pylons 0.9.7 release and is availble for free to read here online. Copyright © 2007-2009 James Gardner. This work is licensed under the GNU Free Documentation License.